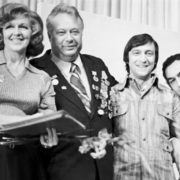 Adored by millions, Soviet TV star Valentina Leontieva was among those celebrities whom the whole country worshiped. 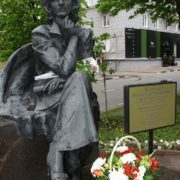 The monument to the famous TV presenter appeared just on her birthday – August 1 (2008). 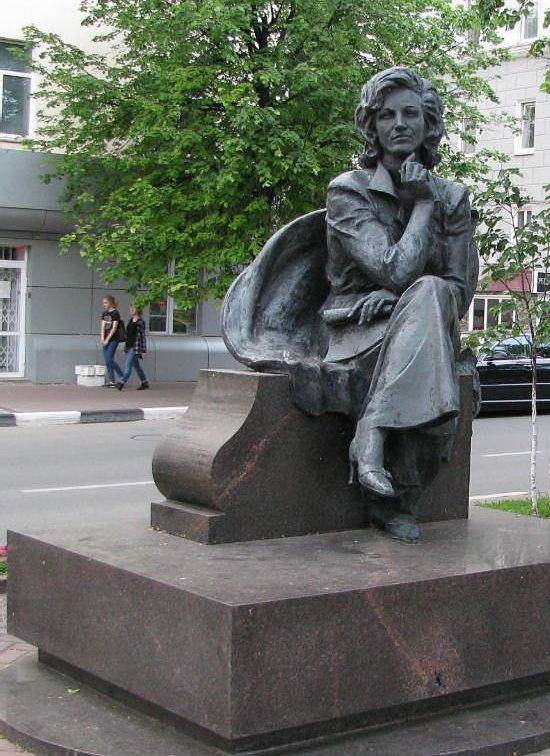 A bronze two-meter sculpture on a pedestal made of granite from the Irininsky deposit (Moscow region) depicts Valentina Leontieva, who left the theater and sat down in the park to relax and admire the view of the river. The author of the monument – sculptor from St. Petersburg Nikolai Antsiferov. Born on August 1, 1923 in Leningrad, Valentina Leontieva had to survive the siege of Leningrad. At the age of 18 she helped the wounded and sick in the besieged city. When the “Road of Life” opened, her mother and two sisters left the blockaded city. Subsequently, Valentina recalled how her sister’s son died on the road and she could not even bury him humanly: the body of the child had to be buried in a roadside drift. 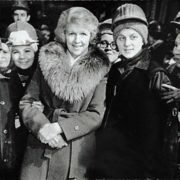 She studied at the chemical and technological institute, and worked in a polyclinic. 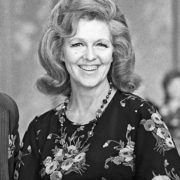 Then she graduated from the Stanislavsky Opera and Drama Studio of the Moscow Art Theater, now the Moscow Stanislavsky Drama Theater. Later, worked at the Tambov Drama Theater, then came to television where she began to work as an assistant director. 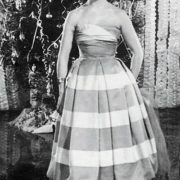 In 1954 she passed a competitive selection for television, becoming an announcer. 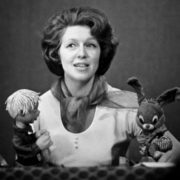 During her years of working on television Valentina Mikhailovna conducted children’s programs “Visiting a Fairy Tale”, “Good Night, Kids!”, “Alarm Clock”, “From the Theater Lodge” (together with Igor Kirillov), New Year’s day “Blue Lights”, the program “From the bottom of the heart”, as well as many other favorite and popular at the time television programs. 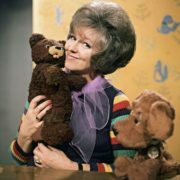 More than one generation of Russians has grown on her children’s programs. 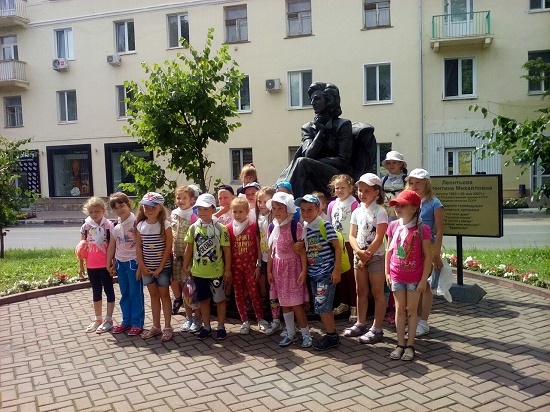 Millions of children were waiting for the program “Visiting a fairy tale” and “Good night, kids!”. 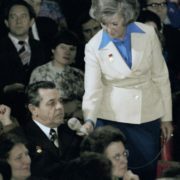 And Valentina Mikhaylovna herself deserved the honorable title – Aunt Valya of the Soviet Union. 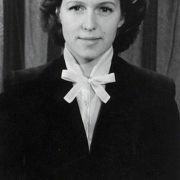 However, the peak of her work was the program “From the bottom of the heart”, which received the State Prize. The broadcast “From the bottom of my heart”, telling about human destinies, was no less exciting than the most interesting movie. 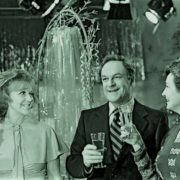 Meetings of people after years of separation, unexpectedly turned up in front of the camera relatives and friends, lost for years, gathered in front of the screen millions of viewers. With this program Valentina Mihailovna traveled 54 cities and until the very last days remembered all the heroes of the programs. 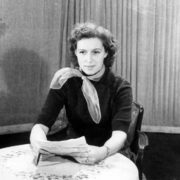 Noteworthy, Valentina Mikhailovna Leontieva was the first announcer and the only woman announcer of the Central Television of the USSR, awarded the title People’s Artist of the USSR. Since 1989 – a television announcer-consultant. She was married twice: the first early marriage with a young theater director was unsuccessful. The second, with a diplomat representing the USSR in the US, lasted a long time, but also did not bring happiness and ended in divorce. With the only son from the second marriage, Dmitry she had a complicated relationship. The work took from her all the time, and the baby was brought up by my grandmother. 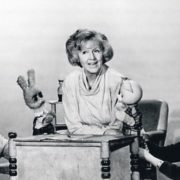 Friends and acquaintances of Leontieva recalled that the only child who hated the “Good Night, Kids!” Program was the son of her presenter Mitya, who believed that the TV was taking his mom away from him. Despite her fame, she remained a very modest person: she lived in a communal apartment, and was not proud of her “starry”. 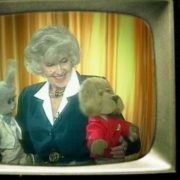 The TV presenter admitted that the only love in her life was television, to which she gave fifty years of her life. 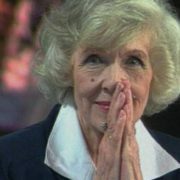 In the 1990’s came a difficult period in the life of the country, television and Valentina Leontieva herself. All her programs closed, and new proposals didn’t not come. 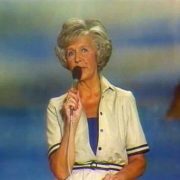 She tried to return, to revive her program “From the bottom of my heart”, but the new realities of television business were alien to her.